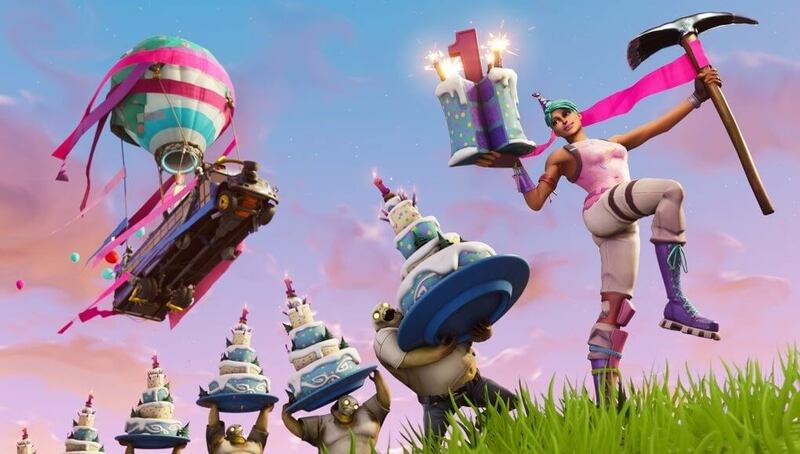 So, you’ve been enjoying the Fortnite birthday celebrations. You’ve got all the birthday cakes, right? And now you’re wondering what Cake Sloders are all about? First of all, you need to know what Cake Sploders look like and where to find them. First up, you’ll find these new beasts in the new area of Fortnite called Canyon Valley. These wobbling, zombie-looking creatures, throw cake sploders at you. Watch the video below to see what they look like. In the Hit the Road event in this area, you’ll be tasked with killing 50 cake sploders. There are dozens of them in this area, so you’ll have no problem killing them! Just watch out for those exploding barrels, which we presume are full of exploding cake! You can farm Cake Sploders in the area below. In other Fortnite news, fans waiting for the Android Fortnite release this week were left disappointed. It turned out that a tweet by a Chinese PR team stating that the game would launch on July 24 was actually for the Chinese PC version. Meanwhile, players on Xbox One, PS4, PC and Switch are having a blast with the latest Birthday event. Get back on the Battle Bus, and check out the full patch notes for Fortnite update 5.10 to see what’s happening right now!